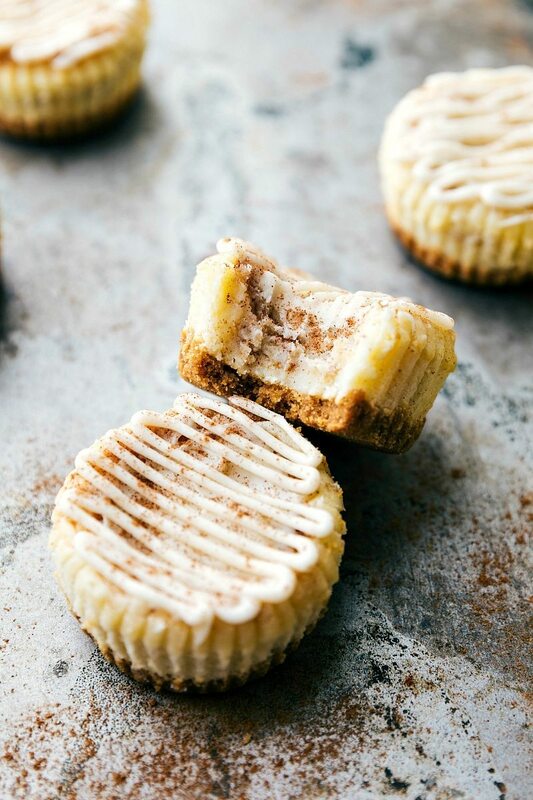 Miniature-sized cheesecakes with a cinnamon-sugar swirl and a cream cheese topping. 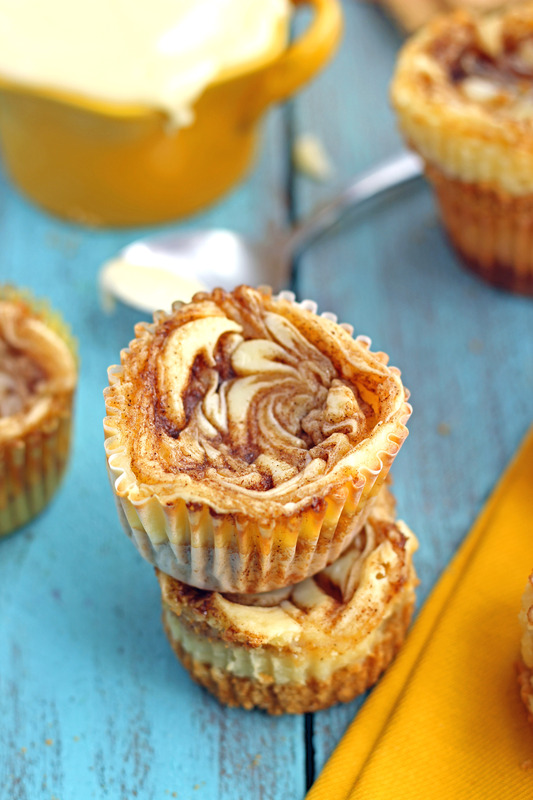 These mini desserts taste just like a cinnamon roll in a cheesecake form. If you’ve been reading my blog for any length of time, you’ve probably noticed my obsession with miniature desserts. Namely miniature cheesecakes. Not only have there been lemon-blueberry cheesecakes here, but oreo ones have made their debut as well. Clearly, I love mini desserts. These cheesecakes have swirls on cinnamon sugar goodness and are covered (drenched?) in a cream cheese frosting. Just how I love cinnamon rolls. The more frosting = better. 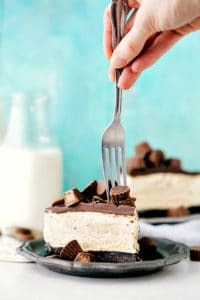 These cheesecakes are super simple. No water bath is needed and they only bake for about 20-22 minutes. The only hard part is waiting for them to cool. 1 hour at room temperature + 2 hours in the fridge. But it will all be worth it! You’ll want to start with a homemade graham cracker crust. 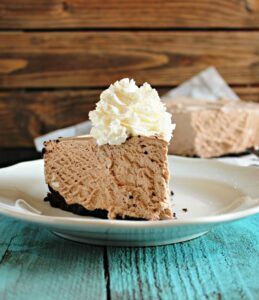 And this recipe calls for a thick crust which I personally think is a requirement for cheesecakes. Next, the actual cheesecake. The cheesecake is pretty standard. The usual ingredients: lots of cream cheese, plenty of white sugar, a tad bit of flour, a few drops of vanilla extract, and one large egg. And of course, there has to be a cinnamon swirl in these cinnamon roll cheesecakes — softened butter, cinnamon, and brown sugar are mixed to create the *perfect* cinnamon-sugar filling. That filling gets swirled into the cheesecake TWICE. First, on top of the graham cracker crust, you’ll spoon out a bit of the cheesecake filling, then some of the cinnamon-sugar filling gets swirled around. And next, you’ll layer a bit more cheesecake and top it off with more cinnamon-sugar swirled in. The most important thing to note with this recipe is the mixing of the cheesecake. You want to mix only on low speed so you don’t whip air into the mixture. The more air that gets whipped into these cheesecakes, the more they will rise and then fall when being baked. It is normal for the cheesecakes to rise a bit in the oven, but once they are cooled, they deflate quite a bit. Mixing slowly and using room temperature ingredients will keep the fall to a minimum :). Enjoy! In a medium sized bowl, combine the room temperature cream cheese and white sugar. Beat gently only on low speed until smooth and creamy. Do not vigorously mix at all (this beats in air and will cause the cheesecakes to rise and fall a lot) Add in the vanilla extract, flour, and a lightly beaten egg. Beat until just combined (again very gently mixing as little as possible). In a small bowl, combine the softened (do not melt) butter, brown sugar, flour, and cinnamon. Stir until completely combined to a thick paste. Spoon 1 tablespoon of the cheesecake filling into each of the prepared 9 cups. Then place 1/2 teaspoon of the cinnamon sugar swirl on top. Swirl the cinnamon sugar into the cheesecake with a toothpick. Top the rest of the cheesecake filling on top (about 1 more tablespoon per cheesecake) and then disperse the remaining cinnamon sugar (about 1/2 teaspoon) swirl evenly among the 9 cheesecakes. Swirl the cinnamon sugar (again) on top of the cheesecake with a toothpick and bake for 20-22 minutes. The centers will still jiggle a little bit, but the edges should be a very light brown. The cheesecakes will have risen in the oven and will deflate quite a bit while cooling. Cream together the powdered sugar, butter, vanilla extract and cream cheese. Slowly add in the heavy cream (if needed for a thinner frosting) until desired consistency is reached. Spoon over the cooled cheesecakes and drizzle extra cream cheese frosting on top. The total time does not account for the 3 hours of chilling time. It’s impossible NOT to Pin everything you create – these sound delicious! I love to experiment with different cinnamon roll recipes. This is really a different way to go…Thanks for sharing. I think I will try your cinnamon-sugar swirl in my yeast cinnamon rolls instead of the traditional method. YUMMM! Holy cinnamon/cheesecake/frosting goodness! Hubba hubba. These look/sound so, so good. 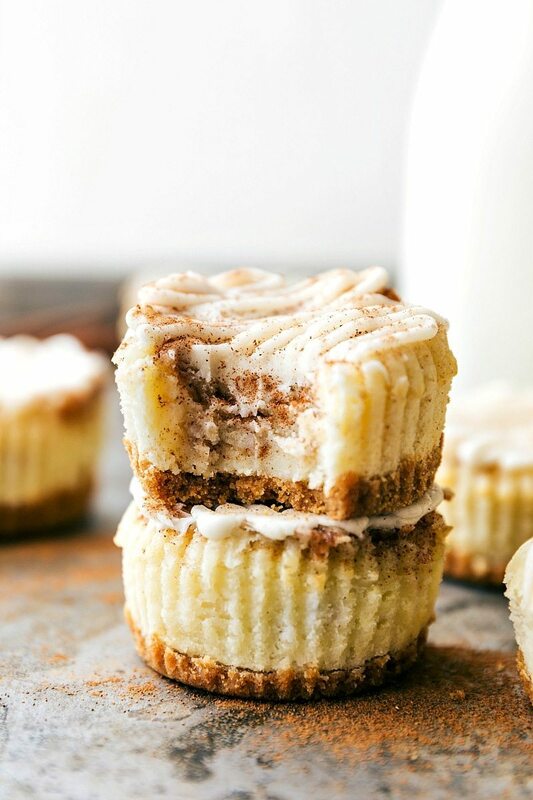 I think my cinnamon roll/cheesecake lovin’ hubby would most definitely appreciate these! Haha! Thanks so much Crystal! Love these mini cinnamon rolls and they sound even more incredible with the cheesecake filling! They look so pretty and adorable too! These look amazing and they are so cute! I’m going to have to try this and hope mine come out as cute as yours! 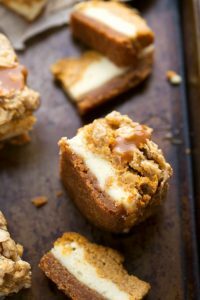 🙂 I love that they are made with a graham cracker crust! I’m glad to know I’m not the only one thinking about creating food all day long, I especially do this while standing in front of the dessert isle at the store, I’m sure I get some funny looks for standing there so long! Pinned! Haha I am soo glad I’m not the only one that has food on my mind all the time. And I totally know about standing in front of dessert isles. I could be there all day 🙂 Thanks for the pin Marti! Haha! Thanks Tiffany 🙂 Wishing I lived in Utah so I could swap you some of these for like fifty of your oatmeal cookie skillet. 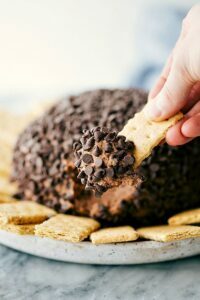 Dying over that recipe and those photos! 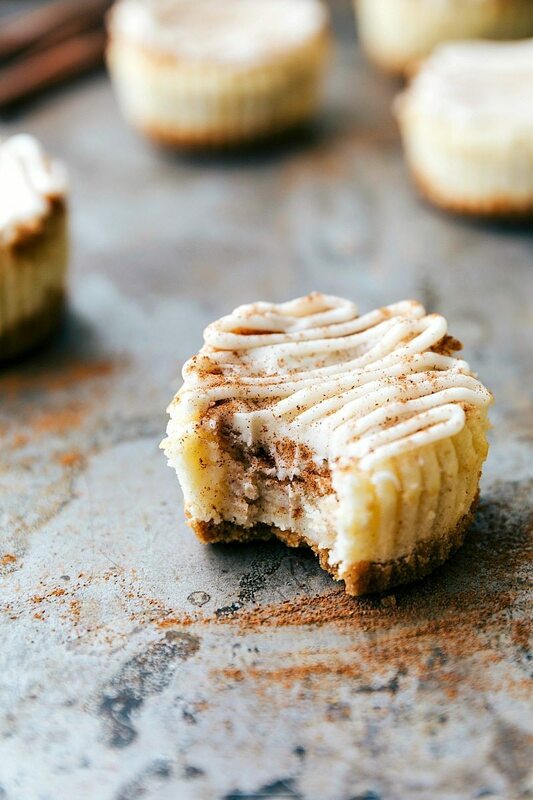 You had me at mini cinnamon roll cheesecakes, and then I see all these other yummies! I am pinning away, thank you! Thank you Jenna! 🙂 And thanks for the pin! These look creamy and cinnamon-y! I’d love about a dozen! I love cheesecake and make a lot of different kinds all the time but I have not thought about using cinnamon. I am trying this one! 🙂 Love cheesecake!!! These look amazing Chelsea. I am so lad you started a food blog to share all your wonderful ideas! Who can resist anything bite-sized? What is a graham cracker “sheet”? A full graham cracker cookie! So, the recipe calls for 4 graham crackers then? 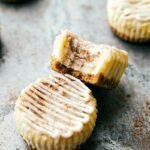 Hi, these look and sound delicious , could u make them in mini muffin tins or would you stick with regular size muffin tins ? Can’t wait to make them! Hi Jennifer. Thank you! I would recommend doing them in a regular sized muffin tin. With all the cinnamon and sugar they tend to be pretty sticky. I think they wouldn’t come out of mini muffin liners as well, but those are just my thoughts. If you give it a go with the mini ones I’d love to hear the results! Do you use a mini muffin pan or a regular sized muffin pan? Just made these, waiting to put the frosting on them. they smell absolutely amazing! :) my grandma is loving the idea of cinnamon and cheese cake. Yay! So glad you made them and thanks for taking the time to comment 🙂 Hope you love them! Would it be possible to make these in mini muffin tins? Would the cooking time need to be adjusted? Thanks! These look amazing! I wouldn’t recommend making them in miniature muffin tins but I haven’t tried it. If you do, the baking time would need to be adjusted; I’m not sure to what though since I haven’t done it. If you try it out I would love to hear the results! I made the mistake of making these without reading the comments. I thought they were cooked in mini muffin tins and they ended up running over and making a bit of a mess but they were the most delicious mess I’ve ever made. The cheesecake filling is soo good and the cinnamon is over the top. Thanks for sharing. Made these earlier today and they turned out great! Thank you for this wonderful recipe! Could you provide the measurement needed if I were to use purchased graham cracker crumbs instead of the sheets? This recipe sounds so delicious! You should have a Facebook tab under your recipe so we can add it to our timeline. Hi Chelsea! I love everything you post and try to make most of your recipes. I made the cinnamon cheesecakes last night and have a couple of questions: In the pictured description/commentary you say “the swirl gets a little crazy, MELTED butter, etc” but in the recipe itself it says” room temperature” = which is your preferred????? Also, when I made the swirl and mixed 1/2 cup room temp butter with 1/2 cup sugar it made a “paste” and wasn’t easy to swirl. So dear Chelsea where did I go wrong?? Oh – bottom line is that they were still VERY delicious. I would like to make them again but would totally appreciate you clearing up the melted vs. room temp butter. MANY THANKS!! Hi Rosa! You are so sweet – that really makes my day to hear that! Sorry to have a few mistype on my recipe – hopefully I can clear it up for you 🙂 The butter should be MELTED, not at room temperature for that swirl. That should make it a lot easier to stir together those swirl ingredients. Sorry about that, but thank you so much for checking so I can update my recipe and make it better for other 🙂 Glad you enjoyed these!! 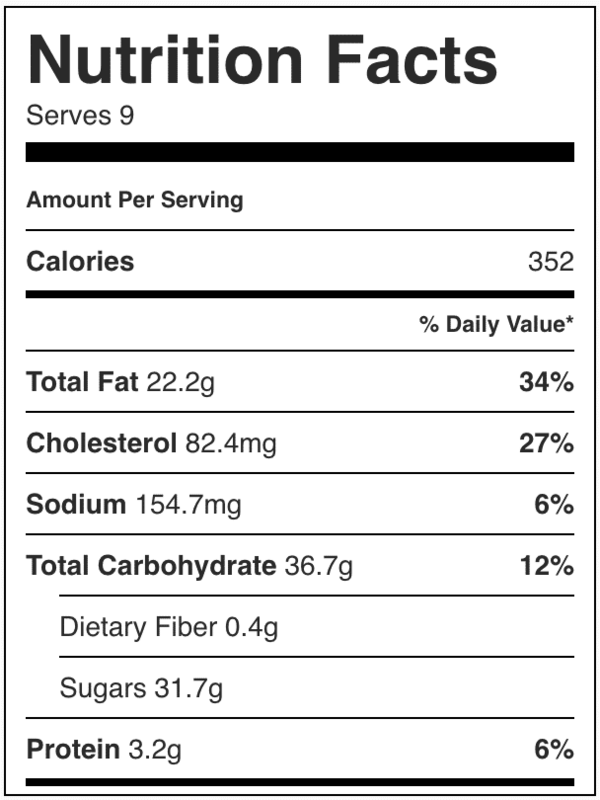 How many calories in one cheese cake? Love the cheese cakes. Wondering how many calories in each cup. – I used a damper to flatten the bottom and it took less than 5 minutes. For those of you that bake tarts or mini crusts, a damper is invaluable – you will love it! – I filled each half way and then swirled in approximately a 1/4 teaspoon of the cinnamon/sugar mix. I then topped off the remaining cheesecake mixture and swirled in another 1/4 teaspoon. It was a perfect amount – no cheesecake mixture was leftover. – By the time I did all of this, my cinnamon/sugar mix had set, so I microwaved it for about 20 seconds to make it liquidy again. I did have a lot of the cinnamon/sugar mixture left over, I’d say about half. – They were amazing on their own! A few didn’t make it to get topped with the frosting… Per my taste, this was the only thing that I changed from the original recipe – I only added one cup of the powdered sugar and after filling the tops, I had to add a little milk (about a tablespoon and a little more) to get it to a drizzle-like consistency. We all love them and I will definitely be making them for the party in December. I will double everything except the cinnamon/sugar mixture. Thank you so much and I hope that my mini measurements are helpful for the holiday season. We all love them and I will definitely be making them for the party in December. I will double everything except the cinnamon/sugar mixture. Thank you so much and I hope that my mini measurements are helpful. How long can this stay in the fridge? Ie could it be made a night or two before a dinner party? Maybe drizzle the icing on the day of the party, or does that not even matter? I just recently tried these out and they were a huge hit! Problem is I have a large family and I only made one batch (I wanted to try them out before trying to double or triple) so they were gone in about 2 seconds flat! By the way maple extract is a great enhancement to the frosting I was raised with maple frosting on my cinnamon rolls so I decided to try it on these and it is delicious! I was just wondering do you think it would turn out firm enough if I make it in a cheesecake pan or should I try to experiment with another cheesecake recipe? Baking is my favorite hobby and I love trying new recipes and your blog has about all the recipes I could ever need ☺ Thanks so much! Sorry I’ve never tried it in any other form! Hi, Have just found this on Pinterest. We don’t have Graham Crackers in Australia, so I’d use one of the bases I use in other cheesecakes. But can I ask what 4 sheets of Graham crackers would be equivalent to in weight? It should be about 1/2 cup which I’m not sure weight equivalents. So sorry wish I could be of more help! Can these be frozen ahead of time? I’m sorry I can’t say for sure; I’ve never tried freezing these. Muito bom esses bolos,estou organizando a festa de aniversário de meu primeiro filho e estou a procura de novidades por que quero o melhor para esse dia encontrei essa receita que para mim é perfeita tem tudo para agradar o paladar de todos essa vai ser minha aposta. The mini cinn roll cheesecake looks so yummy, will try to bake it soon. I am guessing when you say white Flour you Are referring to AP flour and not SR flour, is that correct? Thank you…..